Last Friday, LeBron James almost broke the Internet. As the world impatiently awaited to hear where he would suit up this NBA season,speculation was par the course for King James. Critics wondered from where he would proclaim his next decision – the Oval Office?The UN? The Vatican? Area 51? This of course, dominated the news cycle. Not only sports, but penetrating pop culture. 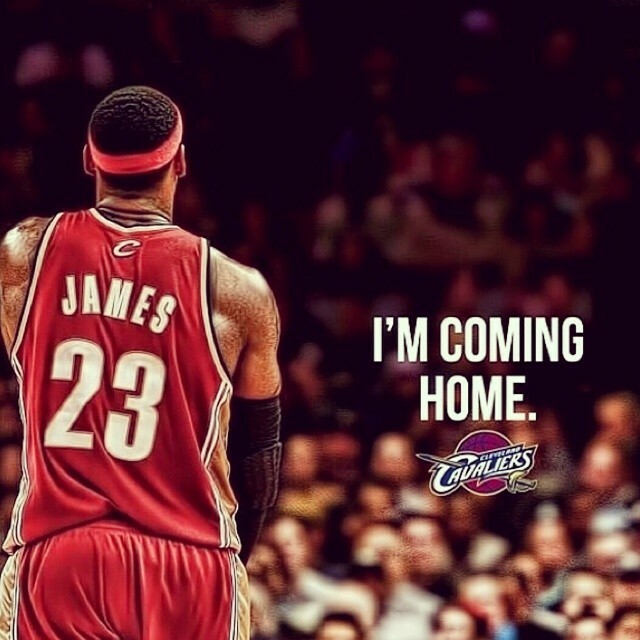 Once LeBron made his unannounced announcement, tweets were talking. 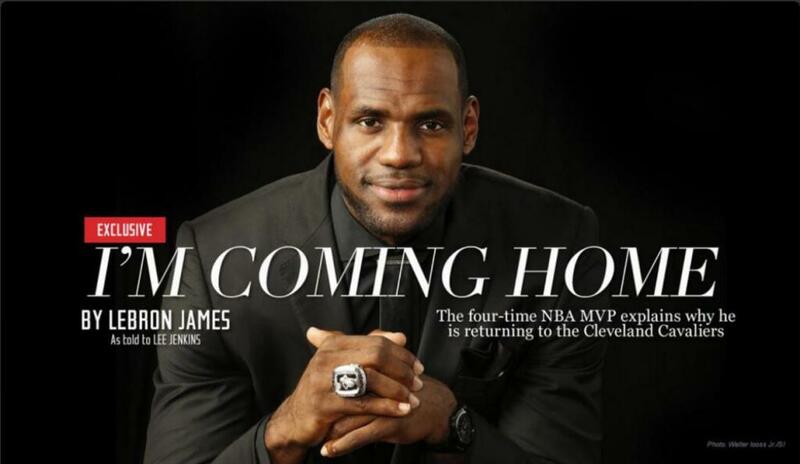 This was big, given the backlash when he left Cleveland for Miami. This was home to James and his family, but there were bridges on both sides to rebuild. Had to be approached the right way. LeBron and team delivered. Players were talking. Rappers. Hollywood. The news. And, naturally, social mediawas buzzing. In 2010, The Decision alienated many LBJ brand loyalists. In 2014, hisdefining decision restored his brand. In PR, there are moments in which we witness a campaign or plan in action, and think: I wish I would’ve done of that. Simplify it. In The Decision, the message was distorted on delivery. Not how he delivered it, but the setting in which it was delivered. With the SI letter, the message was concise and authentic. The beauty and simplicity was the way he did it – expected, but unannounced. No trailers. No ads. No cameras. Just a letter from the King, delivering his key messages to his subjects of NBA fans. Humanize it. Win back the love of the public, by making them remember that you’re just like one of us. Same is true for brands. A critical component of crisis communications is connecting with target audiences, to build trust, and maintain brand loyalty. Drawing the hometown connection triggered an emotional response to the message, restoring a tarnished brand in a key market – home base. Target it. It’s always about the audience. Messages should be targeted to resonate with them. LeBron’s letter connected with the general public, because it was a universal message. It resonated with the Cleveland community, because he made it about them – coming home, the city’s success and franchise’s future. Apologetic, when needed, assuming responsibility for his actions – transparency goes a long way in building allegiance. Leveraging announcements to create PR moments like this, helps to elevate brands…and, provides opportune cross-marketing moments. Just ask Skylar Grey. Tony Balasandiran is an Account Supervisor at FCG.